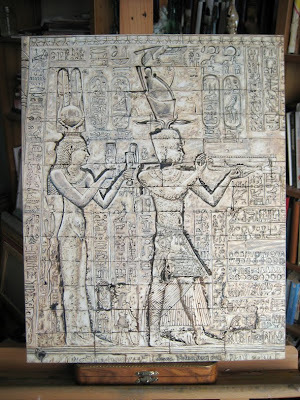 Here I publish the finished paintings from http://ancient-egyptian-art.blogspot.com. On the other blog you can follow my painting process step by step. This blog is the place to quickly have a look at the finished paintings. All these paintings are available for sale unless otherwise stated. 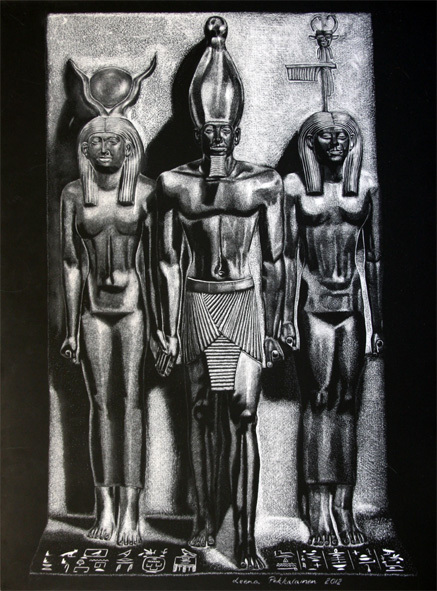 This work will be exhibited (and is for sale) at the Villa Royal "Egyptian Treasures" exhibition in Finland, opening at 18th February this year. 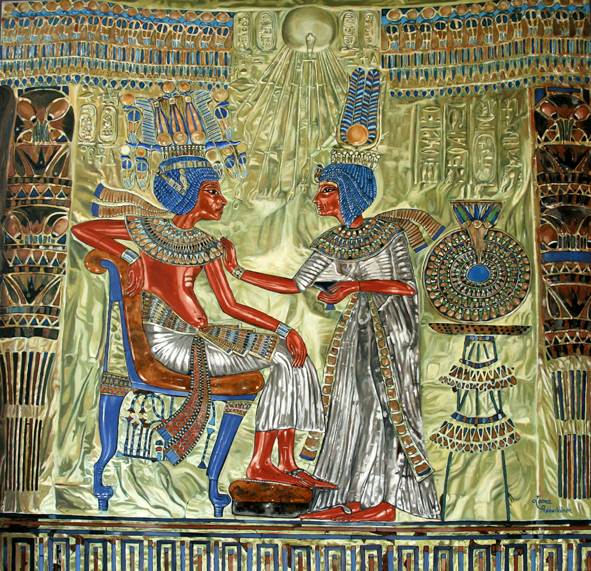 Tutankhamon's Throne - 70 x 70 cm oil painting on Ampersand Board. This took me 350 hours to finish. 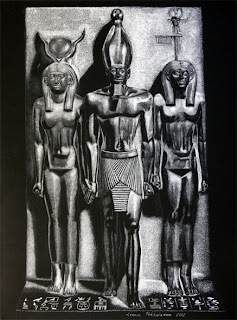 So many people helped me finish this piece - I wish to mention late Bob Partridge of the Ancient Egypt Magazine as one. He kindly gave me permission to use his photo as reference, and I was able to make the detailed drawing for this painting based on his photo. Another source deserving thanks is the Werner Forman Archives. I was able to finish the finer details of this painting using their photo, which they kindly gave me permission to use. This painting is for sale at the Villa Royal's "Ancient Egypt" exhibition in Sastamala, Finland, from 18th February onwards. This is an oil painting of a relief on the back wall of the Denderah temple in Egypt. It is of Cleopatra and her son by Julius Caesar, Caesarion. This is an oil painting on Ampersand museum quality board, size 40,5 cm x 50,5 cm.